Heleri Rande is a freelance F&B strategist and a consulting editor for SUPPER Magazine, the international title covering global hotel F&B. SUPPER explores the projects, personalities and products driving the sector and presents these in a quarterly print title, distributed to the industry’s leading figures. 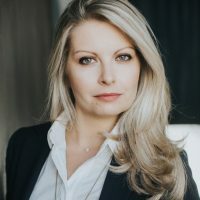 Originally from Estonia, Heleri has lived in seven countries and holds a Bachelor’s Degree from New York University in Economics and Business, as well as an executive MBA in Hospitality Administration from École Hôtelière de Lausanne (EHL) in Switzerland. After spending six years in finance in both New York and London, Heleri returned to the industry that combines her passion for travel, food and excellent customer service. For two years after graduating from EHL, Heleri was Director of Business Development for Europe, Middle East, and Africa at Puccini Group. Based in the firm’s London office, Heleri spearheaded Puccini Group’s growth within the region, identified opportunities for clients and connected them with Puccini Group’s resources to produce optimal solutions. Now Heleri continues to help owners and operators to define their F&B strategy under Think Hospitality. Heleri serves as an advisory board member for the Global Restaurant Investment Forum, is one of the founders of the Hyatt Student Prize Alumni and holds a seat on EHL’s United Kingdom Alumni Chapter Committee.